All hedge funds and other money managers tracked by Insider Monkey have already compiled and submitted their 13F filings for the third quarter. However, some may believe that because these public filings are delayed, that they are somewhat irrelevant, but you should keep in mind that top hedge fund firms are not day traders, swing traders, or other types of short-term oriented traders. Individual investors may use these public filings as part of their stock picking process, and the odds of stumbling upon great winners are relatively high. It is even safer to track billionaire activist hedge funds like Paul Singer’s Elliott Management, which generally tend to push for changes at struggling and undervalued companies so as to unlock shareholder value. 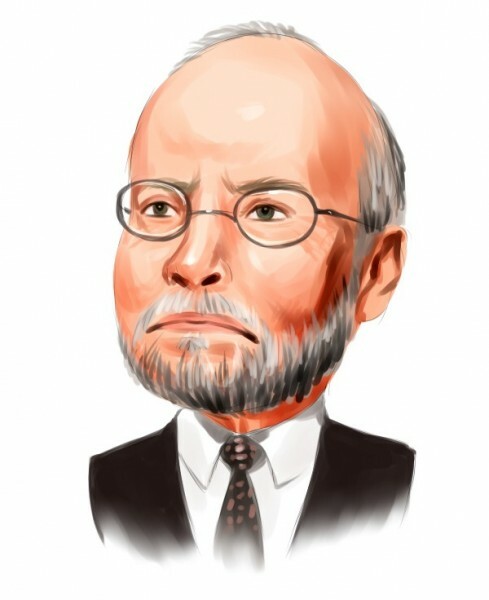 Paul Singer’s hedge fund recently filed its quarterly 13F, so this article will lay out its five largest equity holdings at the end of the third quarter. Professional investors like Paul Singer spend considerable time and money conducting due diligence on each company they invest in, which makes them the perfect investors to emulate. However, we also know that the returns of hedge funds on the whole have not been good for several years, underperforming the market. We analyzed the historical stock picks of these investors and our research revealed that the small-cap picks of these funds performed far better than their large-cap picks, which is where most of their money is invested and why their performances as a whole have been poor. Why pay fees to invest in both the best and worst ideas of a particular hedge fund when you can simply mimic the best ideas of the best fund managers on your own? A portfolio consisting of the 15 most popular small-cap stock picks among the funds we track has returned 102% and beaten the market by more than 53 percentage points since the end of August 2012 (see the details). Elliott Management upped its position in CDK Global Inc. (NASDAQ:CDK) by 1.34 million shares during the third quarter. The shares of the provider of integrated technology and digital marketing solutions to the automotive retail industry have advanced by 15% since the beginning of the year and are trading at a relatively rich trailing price-to-earnings ratio of 38.23, which compares with 22.70 for the S&P 500 Index. Earlier this year, the company initiated a three-year business transformation plan that aims to increase its operating efficiency and enhance its cost structure. CDK’s revenues are anticipated to reach an annualized growth of 4%-to-5% in the next three years and 5%-to-7% thereafter as a result. Scott Ferguson’s Sachem Head Capital Management was the largest equity holder of CDK Global Inc. (NASDAQ:CDK) in our database at the end of the third quarter, holding 11.84 million shares. Paul Singer’s stake in Interpublic Group of Companies Inc. (NYSE:IPG) was unchanged during the September quarter at roughly 20.02 million shares, which accounted for 7.33% of the fund’s equity portfolio on September 30. The global advertising and marketing services company has seen its stock gain 9% in 2015 despite being caught in the August and September broader market sell-offs. Even so, the stock is trading at a cheap trailing P/E ratio of 18.89, which is noticeably below the mean for the S&P 500 companies. Interpublic Group of Companies also pays out an annualized dividend of $0.48, which offers a current dividend yield of 2.1%. Fir Tree, founded by Jeffrey Tannenbaum, increased its holding in Interpublic Group of Companies Inc. (NYSE:IPG) by 503,675 shares during the September quarter to 21.43 million shares. Follow Interpublic Group Of Companies Inc.Follow Interpublic Group Of Companies Inc. Billionaire David Einhorn Exercises Caution Going Into Q4, But Remains Bullish... Billionaire George Soros’ Soros Fund Management Betting Big On These... Have a Look at Hedge Funds’ Recent Moves in These Three Stocks Dividend Aristocrats Part 26 of 52: Becton Dickinson and Co (BDX) A Look at Bill Ackman’s Top Bets for Q4 Why Are These Four Stocks Tanking Amid Today’s Rally?